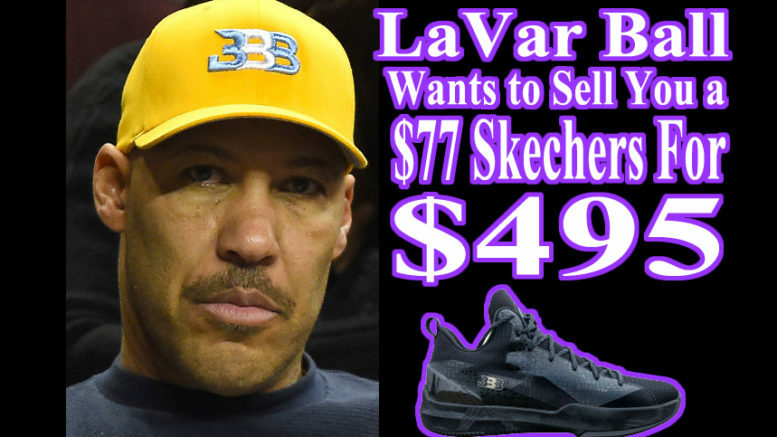 Would you Buy Lavar Ball’s Shoe for $495? Attorney Antonio talks about the Lavar Ball Big Baller shoe, and explains how another company makes nearly the same shoe for 400.00 cheaper. He also uses a recent article explaining the failure of Big Baller to design a shoe, and the need to partner with white conglomerate Sketcher to produce a market competitive product. But this time around, Big Baller Brand had help from an unlikely partner in crafting the better-looking kicks… Brandblack has only been around for three and a half years, but it’s had the backing of one of the biggest sneaker brands on the planet, Skechers, since its inception. The label was founded by Raysse, a Skechers executive who was the director of Adidas Basketball in the late 90s. The ZO2 isn’t Brandblack’s first go-around in the NBA signature sneaker space—it designed signature sneakers for Jamal Crawford until 2016. Brandblack does not currently make sneakers for any NBA athletes, but it’s broadened its business elsewhere: In late 2014, the brand expanded into apparel, and its products are sold at streetwear meccas like Kith and Union.